CoolDad Music is just about the same age as The Battery Electric. This site was born in 2012, the same year as the (formerly) Asbury Park rock n roll quartet; and we've been through all the changes that have taken place in Asbury Park since then together. One of the big changes has been that the Battery boys now center their operation, mainly, in California. Sometime last year, the band trekked out to Dave Catching’s (Eagles Of Death Metal) Rancho De La Luna recording studio in Joshua Tree to lay down their third full-length album, Goin' Wild. The band loved their experience out there so much that they couldn't resist trading the New Jersey boardwalk for the Southern California sunshine. 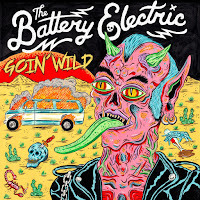 Late last month, The Battery Electric released Goin' Wild. The album continues their unabashed embrace of straight-ahead rock n roll. There are nods to rock n roll royalty like Chuck Berry and the twelve-bar blues on "Hell or Highwater," AC / DC on "Can't Dance," or The Stooges on "Lose Control." There's the deeply-felt soul music of "Need Ya" and the deep darkness of the soul on "Bad Vibe Baby" or "Lust in You." There's the manic and mind-altered energy of the title track. The Battery electric aren't trading in dream pop or shoegaze or synth pop or indie rock. This is Rock n Roll of the studded denim and leather variety. That sound is helped along by producers Jesse Hughes and his Eagles Of Death Metal bandmate, Dave Catching. The production team gives us new takes on Battery Electric staples "Shake," "Heathen," "Need Ya," and "Lose Control." Hughes and Catching also each make cameos on the record as does Dwarves' (and Kyuss, and Queens Of The Stone Age, and more...) Nick Oliveri. A lot has changed in our little music scene over the last several years. In their early years, The Battery Electric shook Asbury venues multiple times per week. There were wild release shows at the now gone Asbury Lanes and roiling, sweaty scrums at Asbury Park Yacht Club or in the bowels of Bond St. But Asbury doesn't have The Battery Electric to kick around (or to be kicked around by) anymore. The band have headed out to LA to pursue their next chapter. Maybe they're hanging with a different crowd. Maybe they're even a little tanner. One thing hasn't changed, though. Whether they're doing it on the Jersey Shore or straight from Lala Land, The Battery Electric remain devoted to bringing you pure, all-natural rock music made from ingredients like Chuck Berry, The MC5, and Sam Cooke. 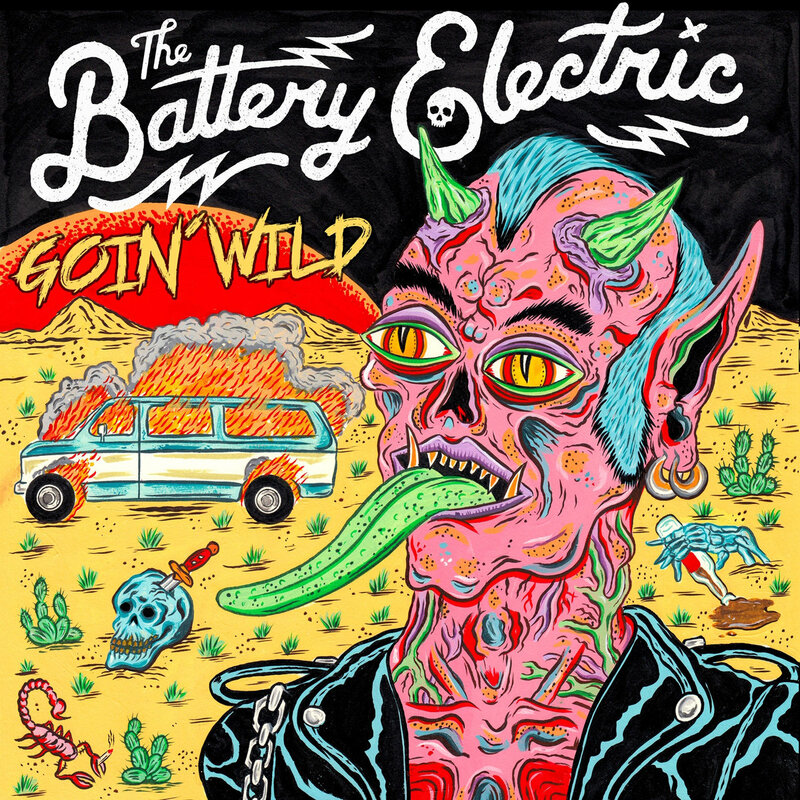 Goin' Wild is out now on Gruesome Twosome Records, and the band just today released the video for the album's title track.